Automatic watch is a beautiful creation and timepiece. 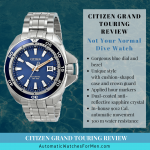 But in that mechanical marvel, lies some unspoken rules that can be hard to understand which mainly come from it’s differences with the more widely used quartz watch. 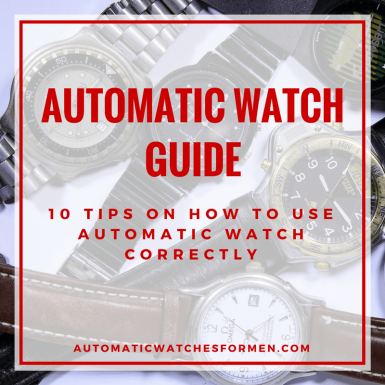 In this guide, I want to share top 10 tips on how I use my automatic watches in the hope that you’ll be able to fully enjoy your watch/watches to the fullest! Which watch should I wear today? I’ve worn that Seiko Diver yesterday, so should I wear my Tissot Dress watch today? Since I have 7 watches, should I make a schedule to wear one of them everyday? Believe me, a rotation of watches for every single day is like a dream come true. When we have many watches, we might feel compelled to rotate everyday. After all, we’ve paid a good sum of money for them right? But practical wise, it’s not a good idea as automatic watch has limited power reserve, with most having lesser than 2 full days. With that in mind, my first rule is to always use the same automatic watch for 3 to 4 days. The logic behind keeping the same watch being used for longer period is simple. Remember, at the first time we pick up the watch, it’s likely to be dead (due to short power reserve) and we need to start it, give it a few hand winding (more on that later), set the time and set the date/day. In my experience, the last 2 on that list are the steps that I dread because of how time consuming it can be. Especially on a busy morning on a working day. Which is why I fully recommend to wear the same watch for more than a day, preferably 3 to 4 days, to reduce the amount of effort used to reset the watches while also being able to enjoy the watches regularly. A workaround for this is to use a watch winder which can keep the unused watches still ticking. The watch winder uses a motor attached to the watch pillow/holder to rotate the watch. This will subsequently rotates the rotor inside it, activating the self-winding movement of the watch. That way, the power reserve can be replenished even when the watch is not used. 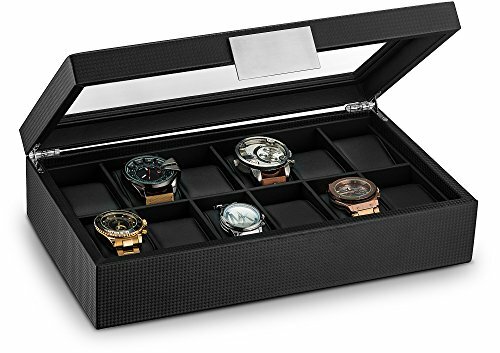 What I like about the watch winder is it can also be a great place to store watches as some of it comes in a beautiful looking box that can also be our own man-jewelry box. For example, the Chiyoda watch winder here that looks exclusive and beautiful. By the way, we can also hand-wind the automatic watch to get the same effect (filling up power reserve) but this is a bit laborious on us. In addition, some movements are not designed to be regularly hand winded. Which is why I don’t think this is not a good alternative as it might do more harm that good to the watch. One thing that most people don’t realize is magnets and magnets in electronic devices are our automatic watches bad enemies. As automatic watch is made up of moving steel parts, it can be magnetized if placed near a magnetic source. 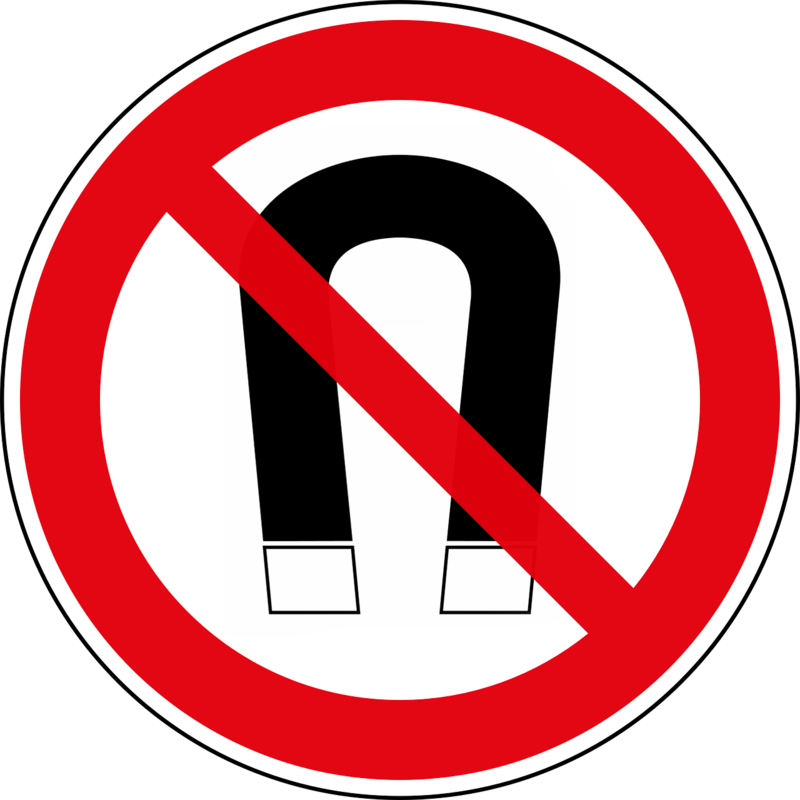 Thus, any strong magnets or magnetic source from devices such as speakers etc. can cause the steel parts to be magnetized and disrupt its movement. The end result is a deterioration in the watch’s accuracy, which can be an annoying thing. Fortunately, a visit to a watchmaker is able to undo this. 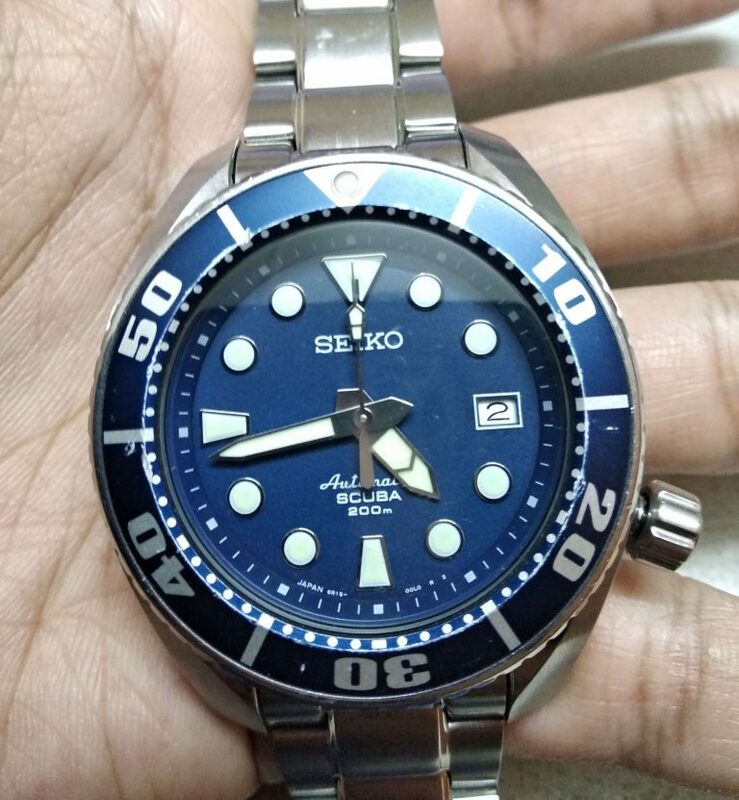 By the way, some watches (especially diver watches) are equipped with anti-magnetic case that can help to keep the movement from being magnetized. But just remember, even though the watch has anti-magnetic case, it’s still a good habit to ensure the watch is not placed besides any magnetic source. Water is the number one enemy for any device, and an automatic watch is still the same. Basically, there are many ways for water to enter our watch. But what’s the area where water is most likely to get into a watch? The crown! It’s function is to reset the time/date/day and also to hand-wind the movement. All of this can only be done if we pull out the crown (except for the hand-winding part). So if you can notice, when the crown is pulled out, there’s an obvious gap in-between the crown’s stem and the case – gaps that water can easily seep through and wreck havoc in the watch. So what should we do about the crown? Always, always keep it pushed down to the case. 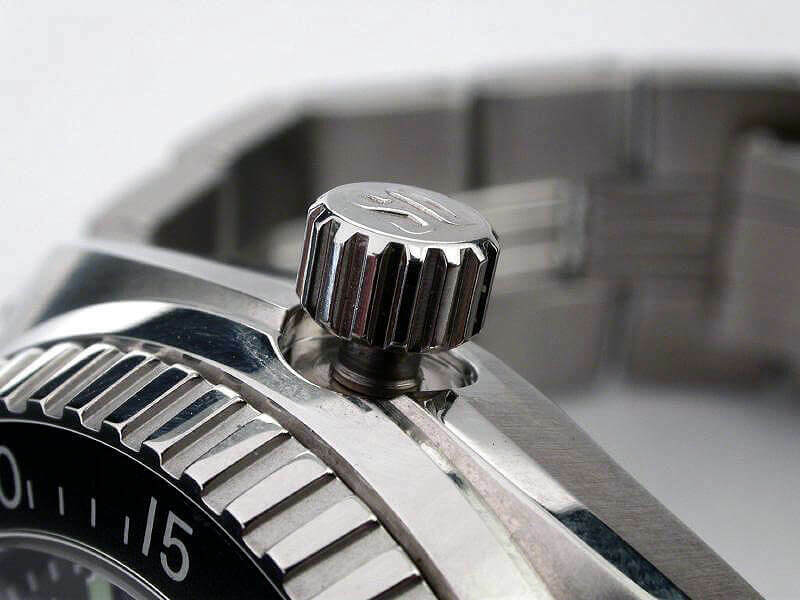 If you have a diver watch with screw down crown, always keep it screwed perfectly. This applies to all the time even when just storing it. Only pull out the crown when you need to operate the crown to change the time etc. This is somewhat related to the first tips. For those possessing many watches in their collection, one thing that pops in my is how to keep automatic watch when not wearing? What I do is to keep the unused watches in a box, instead of just laying it out on the desk or in the clothes cabinet. It will ensure the watch is secure and won’t be accidentally dropped or clashes with other metals (Keys for example) which can scratch its case and watch crystal. Not only that, we can keep the watch in a proper place befitting its price (it’s a quite expensive item right?) which should not be put in any ordinary place. We can also make sure no prying hands will get to the watch as some watch boxes have locks and keys installed on it for this purpose. 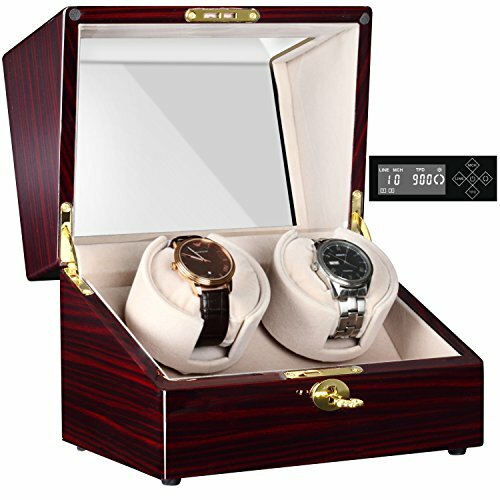 In addition, a beautiful watch box with leather or leatherette outer skin will give a sense of luxurious feeling, totally complementing the exclusivity of automatic watches. Personally, I also will ensure there’s sufficient internal paddings and linings inside the watch box like the Glaenor Co watch boxes. I don’t like rough edges as I’m afraid it will damage the case or crystal. 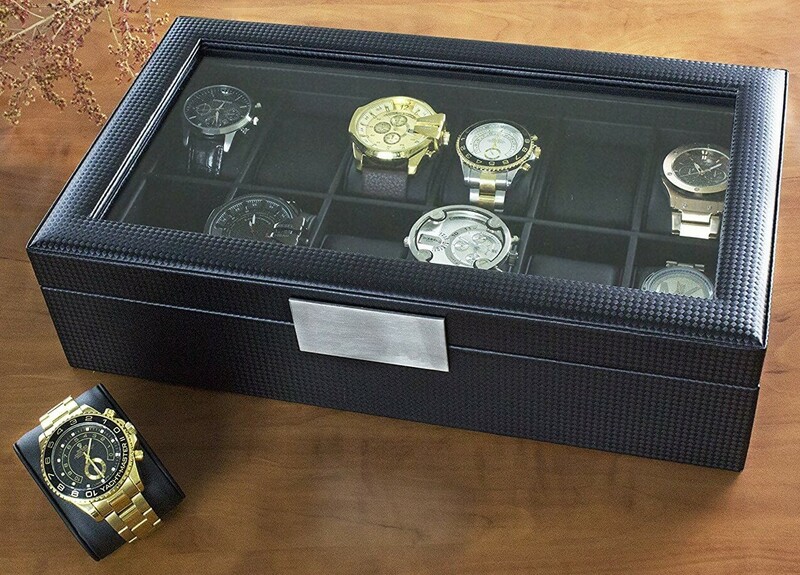 Trust me, these watch boxes are a small investment but with a huge positive impact to your watch collection hobby! If you’re new to automatic watch, there’s one thing that you need to know: automatic watch is less accurate than normal quartz watch. 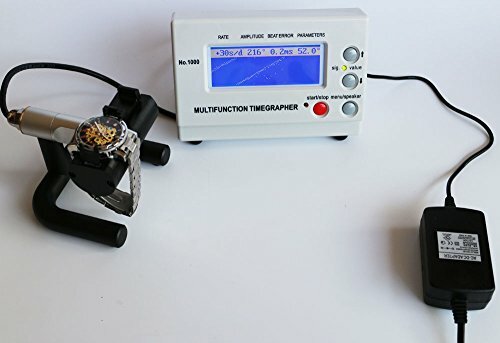 Normal quartz watch (driven by battery) can has an accuracy of +-15 seconds per month, while an automatic can has that kind of accuracy deviation in a day. But many good automatic movements today can give a far greater accuracy, thanks to better manufacturing practices which reduces the imperfection on the minute mechanical parts. In my experience, such accuracy is still ok. After all, if you follow my #1 advice of using a watch for up to 3 to 4 days, the time gain or loss will not accumulate too much (unless you’re only using one watch everyday….). With that being said, it’s always a good idea to take routine measurement of the watch’s accuracy from time to time. I like to say that automatic watch is like a car’s engine. It can be very quick and responsive when we first got it, but after a few thousand miles, it can start getting slower which might indicate it will need a service. That’s the same thing with an automatic watch. After many years of use, the mechanical part will not run as good as when it’s brand new. Depending on the condition, a less accurate watch might only need an adjustment, or it might even need a watch service. So how to test for automatic watch’s accuracy? It’s actually quite easy to check for the watch’s accuracy. There’s two method to do that. The first is to use a timegrapher or timing machine. It’s a simple device where we just place the watch on its handle and the machine can derive many important points about the movement’s health. From the timegrapher, we’ll be able to learn about the accuracy or rate of the watch, the beat and amplitude of the balance wheel. These are all important information to know if the watch’s movement is in a good condition or not. And I can say if you’re an aspiring automatic watch collector, this is a great device to have. The second way is by using a watch accuracy checking app on our smartphone. The app works by collecting data of the watch’s time over a duration to get the average rate. Just search on your phones appstore for “watch accuracy check” to find the app (I use “WatchCheck”). And in case you’re wondering, we need to do the data collection ourselves over that period. The main disadvantage is the accuracy rate can only be known after a few days while the timegrapher can easily give the accuracy rate almost instantaneously. The sixth tip is to hand wind your automatic watch a few times before use. I need to be clear that I’m referring to a watch that drop dead after out of juice here. 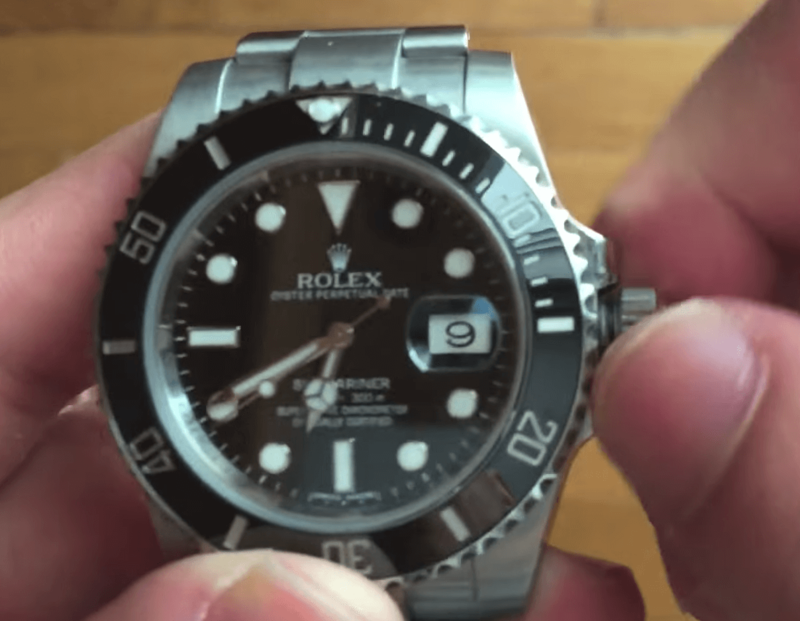 This is a bit of an unusual tip, but trust me, it has a solid basis and will undoubtedly make your automatic watch running perfectly to what you’ll expect from a wrist watch. Do you wind automatic watch? One question that people always ask if there’s a need to manual wind an automatic watch. After all, an automatic watch is “automatic” because it can self-wind itself with its weighted rotor at its back. So there’s no need to manual hand winding an automatic watch right? Actually, it depends on the situation…. If you’re wearing the watch sufficiently (I’m talking about a full working day here, around 7 – 8 hours daily), then there is sufficient time for the power reserve to be built up via the self-winding mechanism. In this instance, there’s no need for a manual hand winding at all. You might need to give it a bit of hand winding once a while to fill up the power reserve. This can help in accuracy and overall movement health. But again, generally, an automatic watch don’t need to be wind often. But if the watch drops dead after a while, it’s always a good idea to hand wind it for a good 15 to 20 crown rotations before we start using it. This will the watch an extra bit of juice to power it up. By doing so, we ensure the power reserve will be sufficient for at least half a day, for which the self winding can do its job to properly recharge it by hand movement. Thus, there’s no surprise that the watch is suddenly dead on your wrist due to lack of power reserve if you only rely on the self-winding mechanism (which can be a bit unreliable, depending on the movement manufacturer). Whenever we pick up a watch that’s not running, we always have to set its time and day/date (assuming it has the extra feature). Adjusting the time is fairly easy – heck even kids can do that. But one thing that I always do is to ensure the AM/PM of the watch is correct. But of course, as all automatic watches are analog, it don’t have the AM/PM indicator like other electronic watches. 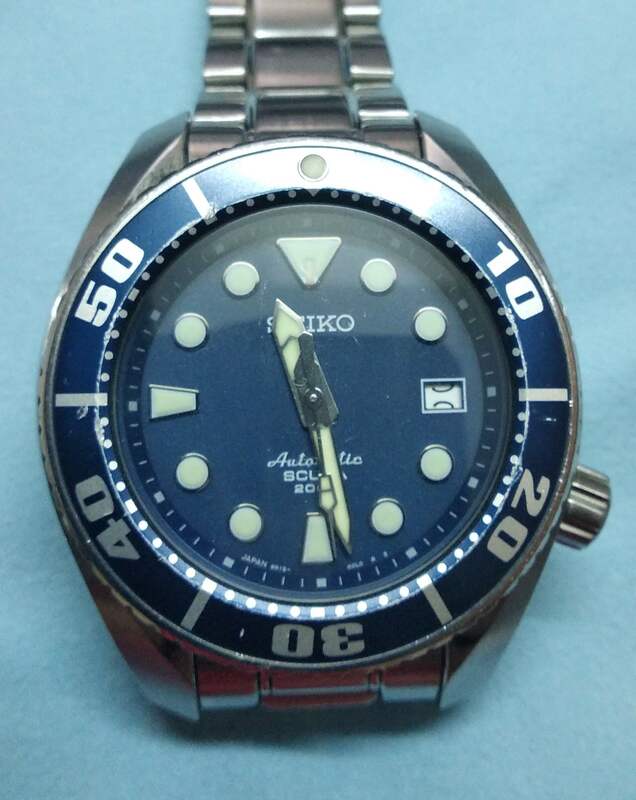 Improper setting will cause the automatic watch date to change at wrong time e.g the date changes at noon. 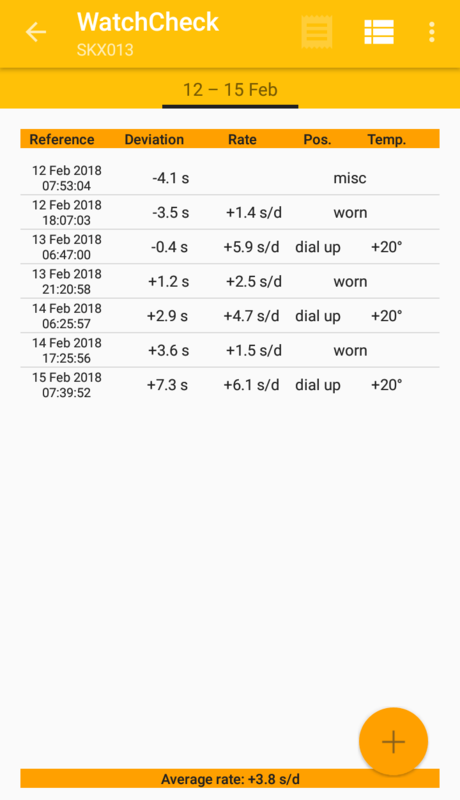 So how to check the AM/PM setting in an analog watch? Move the hour hand until 12:00. See if the day & date change or not. Example 1: Move hour hand to 12:00 > Day & date change, means watch time enters AM > If current time is 7 AM, then just move the hour hand to 7 o’clock. Then set the day & date correctly. Example 2: Move hour hand to 12:00 > Day & date change, means watch time enters AM > If current time is 7 PM, then need to move the hour hand one full rotation to enter PM mode. Then just move the hour hand to 7 o’clock. Then set the day & date correctly. Change the day and date to ONE day before the current time. E.g if today is May 20 Sunday, then set the date to 19 and the day to Saturday. Then move the time to 12:00 and see if the day/date change or not. If it does not change, that means we are in PM time. Like above steps, we then need to adjust accordingly to the target time. By the way, do you know when not to set date on an automatic watch? Generally, it’s not a good idea to change/set the date around 9 PM to 2 AM (when we see the day/date indicator looks to be moving). As the watch uses gears to move its parts, the day & date change will usually happen around 9 PM to 2 AM, though this depends on the movement itself. At this time, the day & date gears are already locked and engaged which is why changing the day & date at this time will disrupt the gears. Another good tip when setting the time is to ensure the minute and second hand are perfectly aligned. I really hate it when I was setting my time in a hurry, and the end result is the minute hand is not aligned correctly. The minute hand should be directly at a minute marker when the second hand is at 12 o’clock. If you see the minute hand falling somewhere in-between the minute markers, that’s a sign that the setting is not done correctly. Will it affect the watch’s performance? Nope. In my experience, the watch will still running fine. But the reason why it bothers me so much is it breaks the harmony and preciseness of the watch. Or you can just say I’m OCD LOL! So how to set the time on an automatic watch correctly then? Then move the minute hand precisely above the minute markers. For non-hacking watch, you need to do this faster. Pull out the crown and get ready to change the time. As soon as the second hand moves to 12 o’clock, change the minute hand to the marker. Much like a car or a motorbike, an automatic watch also needs to be cleaned periodically. You can never imagine how much dirt and gunk could accumulate around the watch’s case and straps over the years. This is especially so for watches that are used for activities where the sweat from our arms can stick to the watch. How to clean automatic watch? For me, a normal soft cotton cloth would do the trick. Just damp it with some water and swipe off all the dirt accumulated around the watch. You can also use toothbrush to do the job too. Last but not least, the lug area. To access it, you’ll need to detach the strap first. In my experience, this is an area with a LOT of dirt! watches, 3 to 5 years is the usual service dateline though it differs from manufacturer to manufacturer. 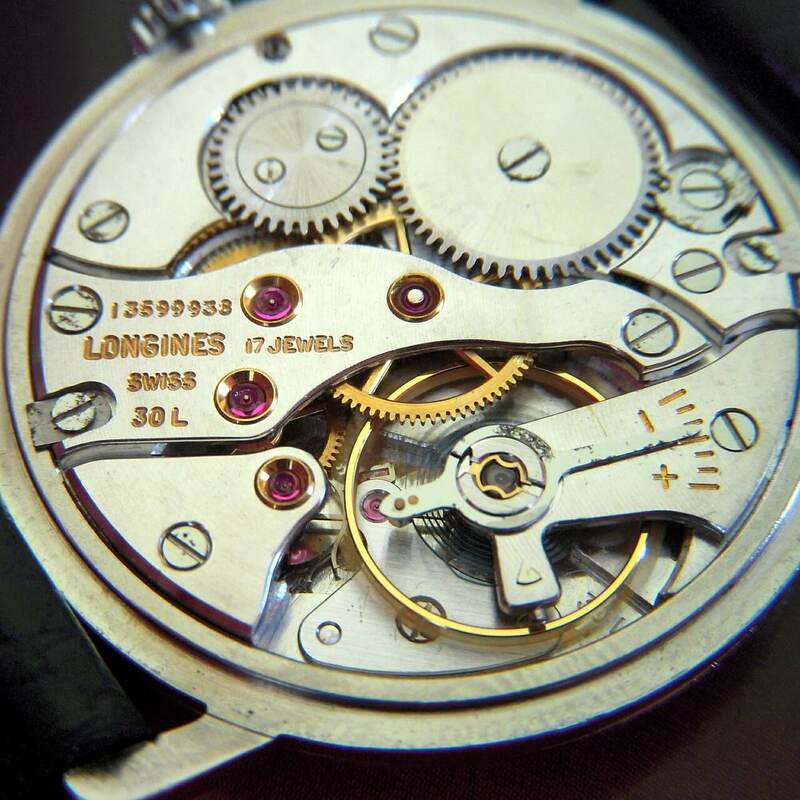 In addition to a full service where the watchmaker opens up the watch and clean and oil the movement, there’s also adjustment that is used to increased the accuracy of the watch. While the 3 to 5 years is only a guideline, it also depends on the current condition of the watch. If you use the watch sparingly (rotating with other watches for example), then the service dateline can be extended because watch is not used often. But if you feel there’s something wrong about the watch such as lack of power reserve, fogging, or very serious accuracy problem, then it might be a good idea to hasten the service. 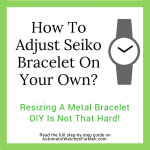 I hope you get a good idea of how to use automatic watch. If you have any question on this guide, feel free to comment below. Who knew there was so many interesting things about automatic watches! I stopped by and was drawn in by the article. I currently, don’t have a watch – I think my family wishes I did – I had wondered about an automatic one. I think it’s a bit too fiddly for me. But I thought your article was thorough and interesting. Do people really have seven!? If you had a link for a woman’s watch (I know this is a men’s watch website, but humor me. 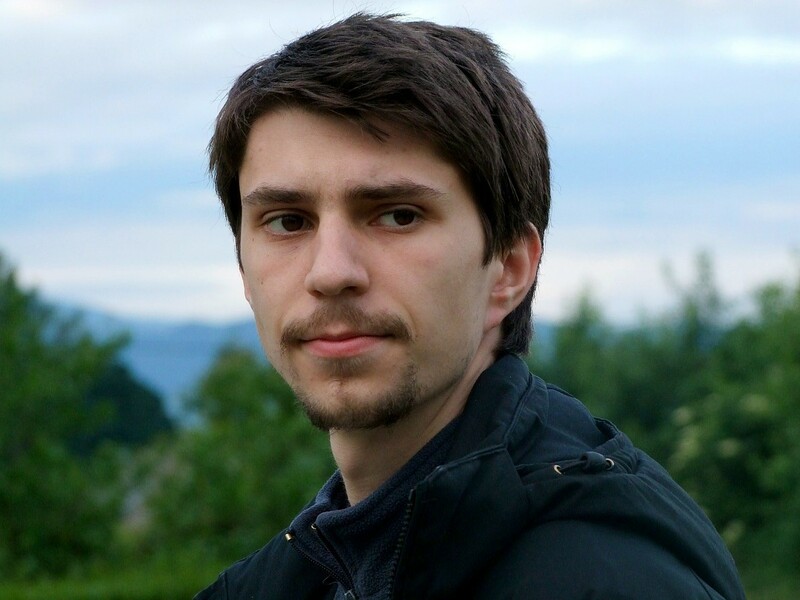 I am here now and would love to hear what you would recommend). Hi there. You definitely should get yourself an automatic watch as it’s unique and different than the other watches. I’m sorry that I don’t have any recommendation for a woman’s watch as it’s not my area of expertise. But some of the watches that you see in this site do have their accompanying woman’s version. Wow, I didn’t know this much would go into a watch. I am curious tho, what is an automatic watch and why is this better then other kinds? I’m kind of lost as far as watches go, even tho I’ve always liked them, I think their a very nice addition when you want to look good or professional. Hi bud! Automatic watch or mechanical watch is a watch that’s run without using battery/electricity like the normal watches we have today. You can read more about it in my post here. Do let me know if you have any other questions! What a wonderful site. I was going to buy my husband an automatic watch but I wasn’t sure about them. I had heard reports about them always running down, and not being reliable but you have made my mind up! People who own automatic watches and are having problems should check out your site.